Welcome to the Little Townhouse SANTANA 21! Santana 21 is a sunny, open-plan 2-level duplex apartment and has, in typical Lisbon Old Town – style, its own independent entrance with direct access via a staircase to the mezzanine floor. 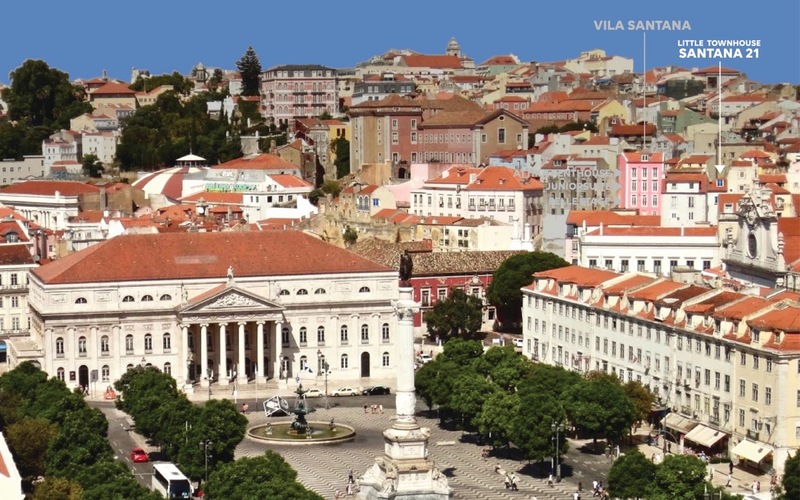 Its exposed position on a hill provides a magnificent view over the old town of Lisbon. The comfortable living room with satellite TV, modern stereo system with I-pod plug-in and WIFI offers comfortable seating up to 4 people and with the pull-out couch another sleeping possibility for 1-2 persons. 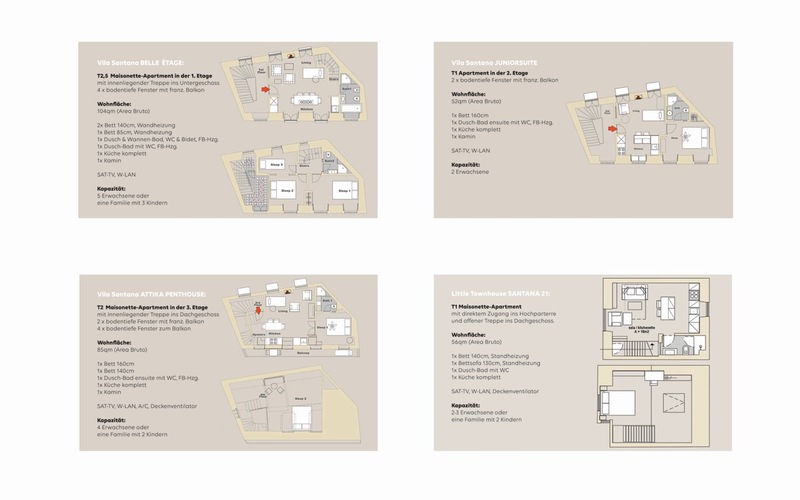 The fully equipped kitchen with dining table, offers modern comfort, even for sophisticated guests. 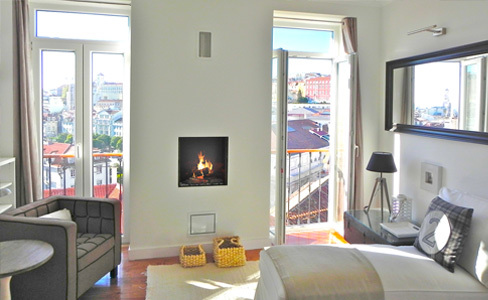 From here you can enjoy the beautiful view of the old town and the Rossio Fountain. 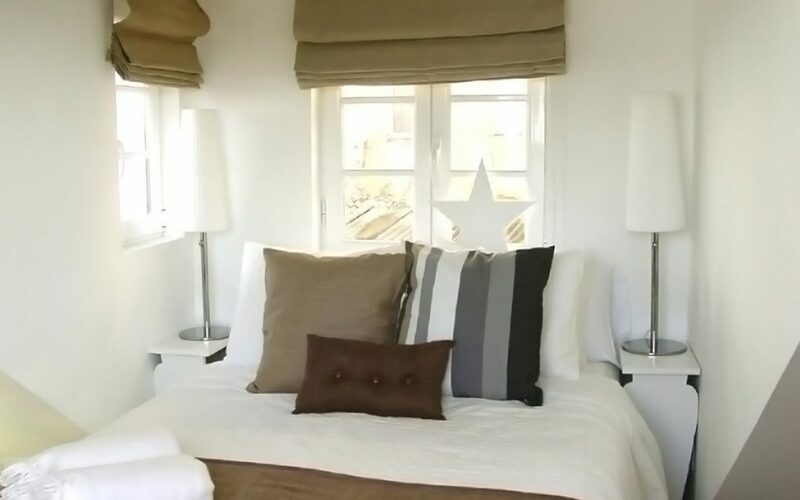 Make yourself comfortable and enjoy the view of the historic old town. 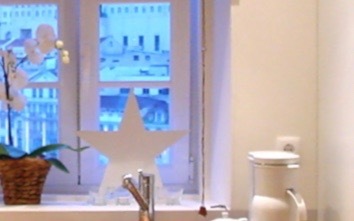 An elegant bathroom with a modern shower invites you to relax after an eventful day in Lisbon. 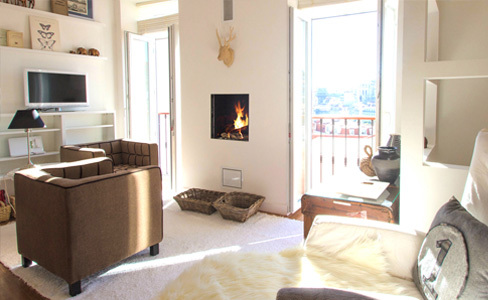 From the kitchen as well as up from the bedroom, you will be able to enjoy a magical view over the roofs of Lisbon, the famous elevator of Sta. Justa to the Tagus. From the kitchen you can watch the colorful hustle and bustle of the old town. 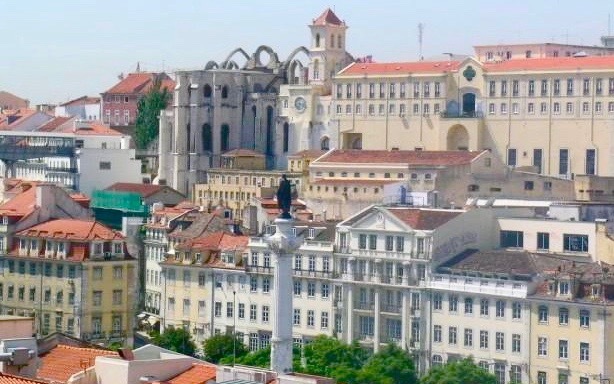 Through a large roof window on the upper floor, you can enjoy a spectacular view over the roofs of Lisbon, the famous Sta. Justa to the Tagus. Make yourself comfortable and enjoy the lights of the city. An open staircase leads to the attic. Here is a cozy bedroom with comfortable queen-size boxspring bed. 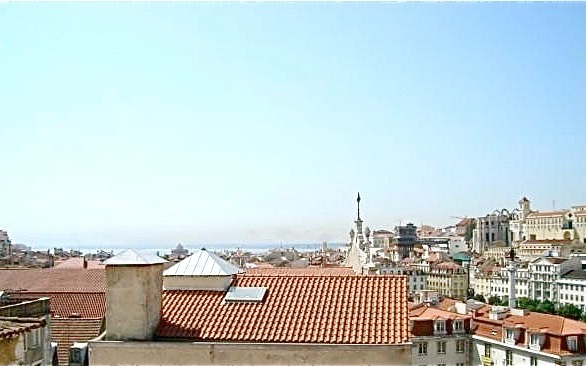 A large roof window provides a wonderful view over the roofs of Lisbon up to the river Tejo. 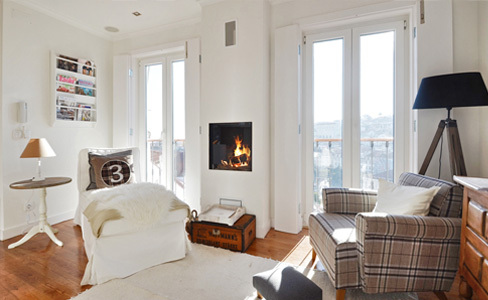 From the bedroom you have a wonderful view over the roofs of Lisbon to the Tagus River. Santana 21 is a sunny duplex apartment with an independent entrance for direct access to the first floor. Modern LCD TV, stereo system with I-Pod plug-in as well as a free WIFI access leave nothing to be desired. The modern built-in kitchen with seating is fully equipped. 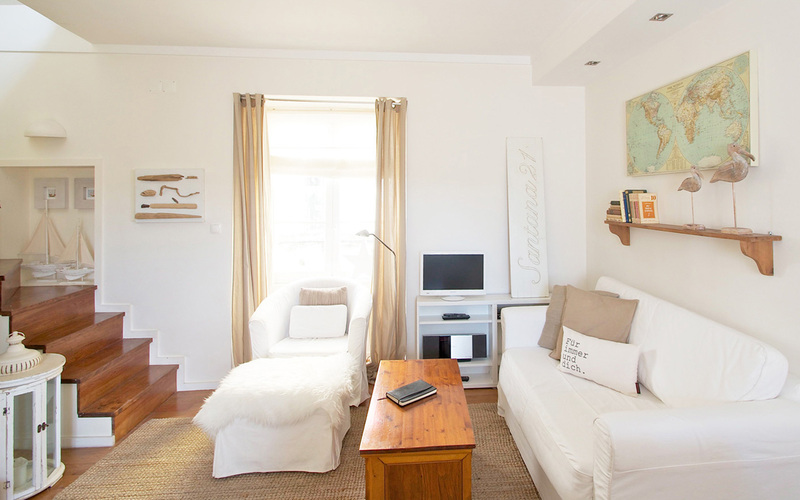 A cozy living area with a double pull-out couch provides the possibility for another sleeping. 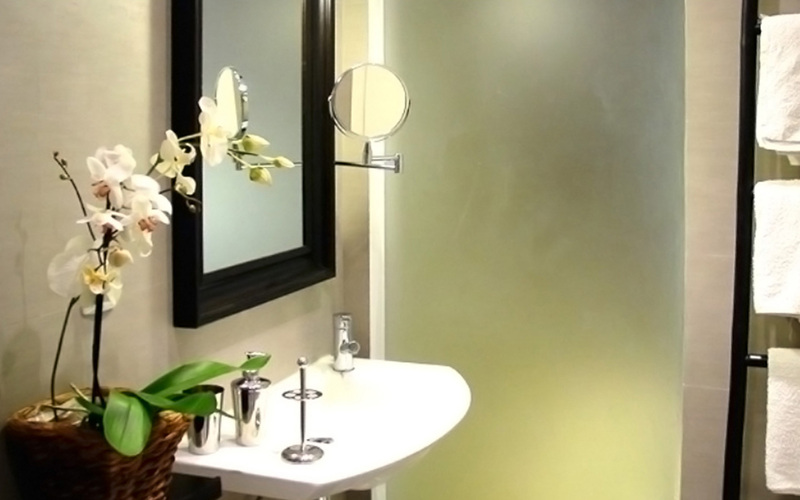 An elegant bathroom with shower invites to relax. 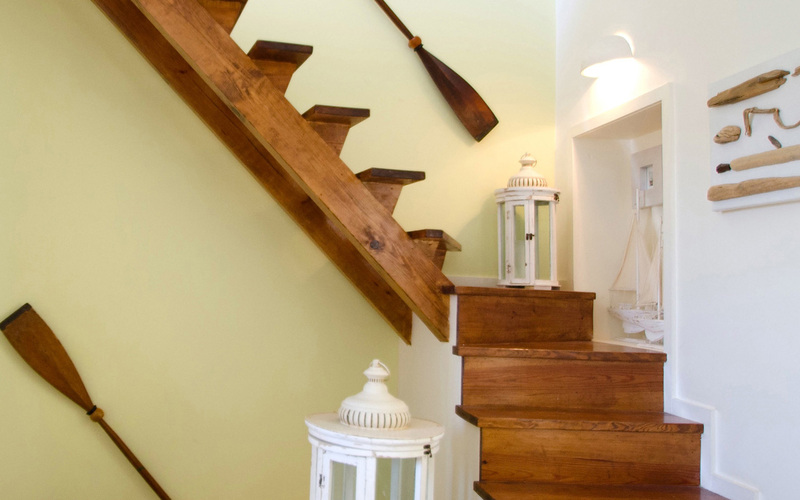 An open staircase leads to the attic. Here is a cozy bedroom with a Queensize boxspring bed. 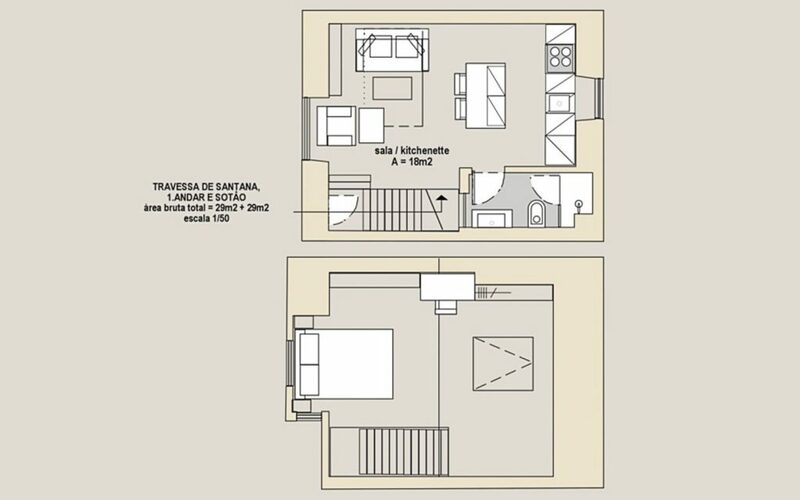 Santana 21 has been refurbished and equipped to the highest standard and offers modern comfort for 2-4 adults or a family with 2 children. 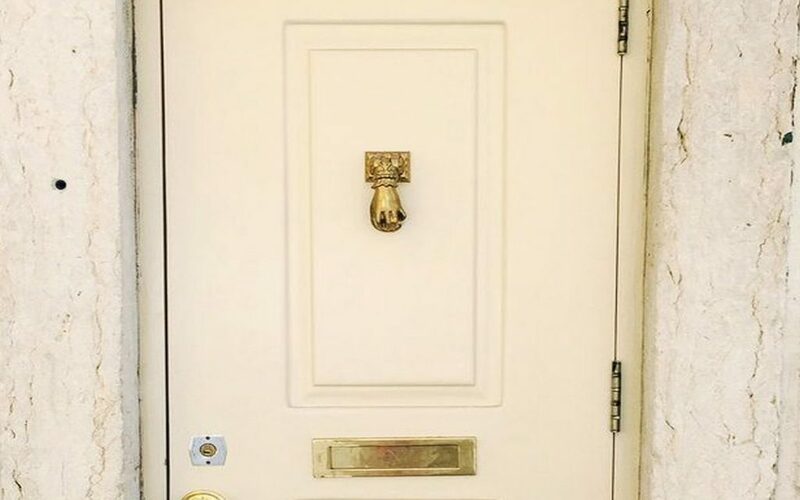 Santana 21 is a sunny maisonette apartment with an independent entrance for direct access to the 1st floor with a modern fitted kitchen and cozy seating. 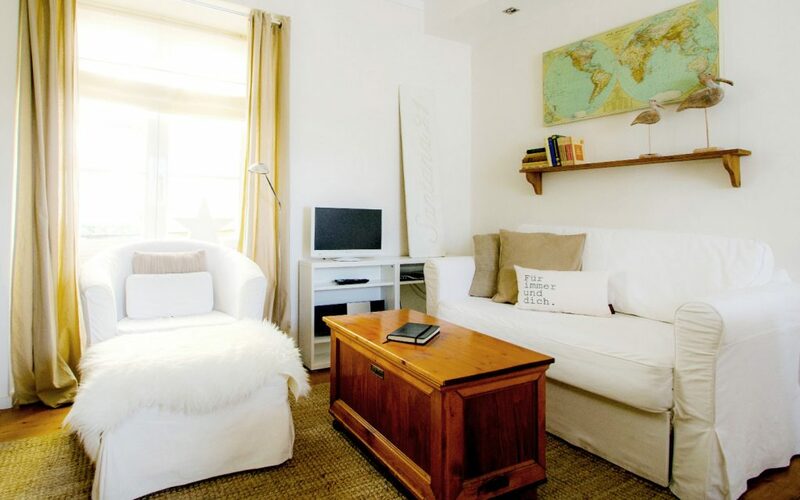 A cozy living area with a pull-out couch offers the possibility for another double bed. Modern LCD TV, stereo system with I-Pod plug-in as well as a free WIFI access leave nothing to be desired. 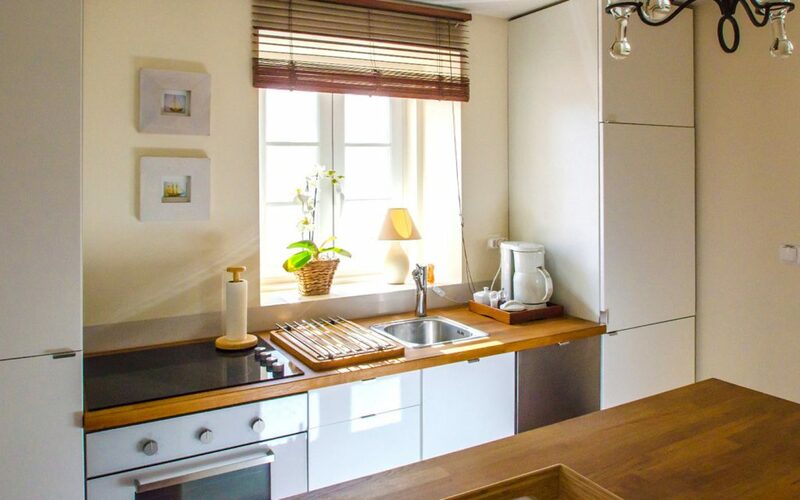 Santana 21 has been refurbished and equipped to a high standard and offers on its 46sqm modern comfort for 2-3 adults or a family with 2 children.